TrackBar is a .NET Framework control which allows the user to select a value out of a range. 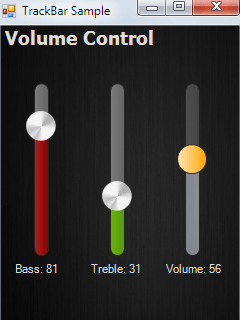 Ideal for setting the volume, speed or other similar task values out of a given interval. 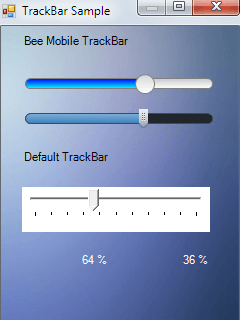 Bee Mobile TrackBar offers attractive visual appearance and, of course, the ability to scroll it by user’s finger. TrackBar also supports an icon. You can apply a custom image on the TrackBar thumb.